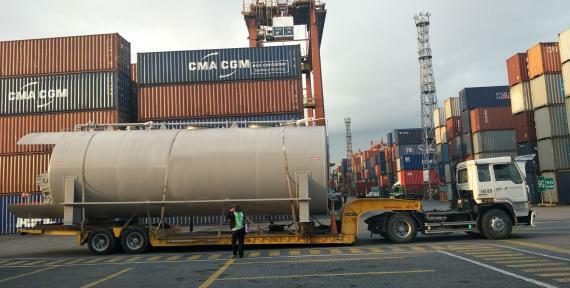 Members in the Philippines, Nonpareil International Freight & Cargo have recently handled the shipment of a steel storage tank from Savannah, Georgia in the USA for the joint Balikatan Exercises of the United States Armed Forces and the Armed Forces of the Philippines (AFP). 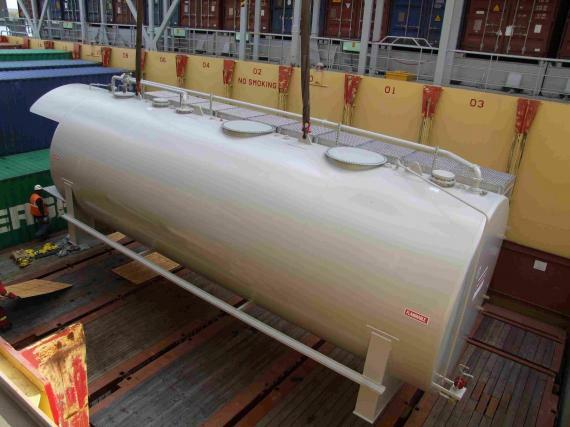 The new steel storage tank (Flameshield 20,000gal Aviation System) measured 12.12 x 3.38 x 4.19m with a weight of 19,863.54kg. It was loaded at the Port of Savannah in Georgia, USA and discharged in Hong Kong before the onward journey to Manila in the Philippines. Nonpareil also handled the re-forwarding of the shipment to its job site on the Philippine island of Palawan.